Muslims seem to make a very clear distinction between religious concerns and political matters. One of the enduring stereotypes about India’s Muslim community is that their vote is swayed by fatwas and the call of religious Ulema in every election. From Maulana Abul Kalam Azad to Syed Abdullah Bukhari, political parties have exploited their influence. Various studies indicate that Muslims do respect Ulema in religious matters. But they want them to get out of politics. And it has become tougher for the Ulemas since the Indian politics entered the coalition era. In what could be a response to the increasing belief among the Muslim community, Syed Ahmad Bukhari, the Imam of Delhi’s Jama Masjid who is known for his election fatwas, has decided not to offer support to any political party in the 2019 Lok Sabha election. The Ulema (scholars) of Mumbai, however, appear to be more vocal. 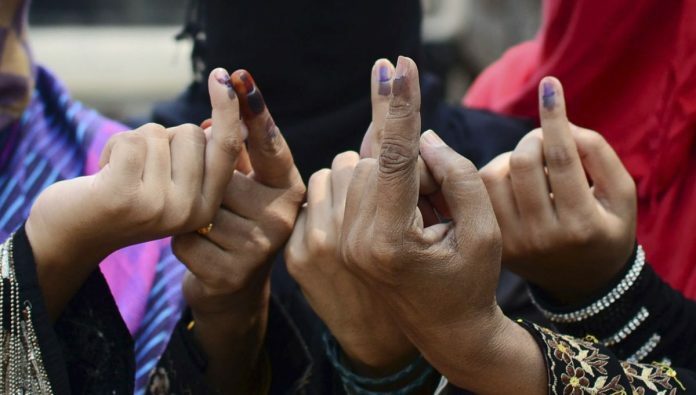 Around 700 Ulema representing different sects (Sunni, Shia, Bohra) and sub-sects (Wahhabi, Deobandi and Barelvi) of Indian Islam overwhelmingly asked the Muslim electorates to vote for the ‘secular parties’ so as to defeat the BJP in 2019. These statements create an impression that Ulema play a crucial role in determining Muslim voting in elections. However, Muslim political attitude does not confirm such media-centric assumptions. The Religious Attitudes, Behaviour and Practices Survey, conducted by the CSDS-Lokniti in 2015, mapped out the changing forms of religiosity in 18 states of the country. This uniquely designed study systematically looks at the relationship between Ulema and the Muslim communities. More specifically, it asked questions with regards to the influence of Ulema on the social and political life of Muslims in different contexts. A sizeable number of Muslims believe that Ulema are highly influential in political matters (Table 1). This observation is historically valid. Since the days of Maulana Abul Kalam Azad, Indian Ulema have been actively participating in politics in a variety of ways. Jamiat Ulema e-Hind’s unconditional support to the Congress’s nation building project in the 1950s; Majlis-e-Mushawarat’s call for strategic voting in the 1967 elections; electoral fatwas of the Imam of Jama Masjid, Abdullah Bukhari, in the 1970s and 1980s; and Maulana Abdul Hasan ‘Ali Mian’ Nadvi’s persuasive role in Shah Bano case are revealing examples that underline the influence of Ulema in politics. The political establishment also recognises Ulema as representative of Muslim interests. My study of Muslim representation in the Rajya Sabha (1953-2014) reveals that all political parties, especially the Congress and the Janata Dal (JD), often use the Rajya Sabha to accommodate prominent Ulema in Parliament. The former president of the Jamiat-Ulema Hind, Maulana Asad Madani, is a good example. He was a Rajya Sabha member from Uttar Pradesh on Congress ticket for three terms (1968-74; 1980-86; 1988-94). Janata Dal also brought Maulana Obaidullah Khan Azmi in Parliament through Rajya Sabha in the 1990s (1990-96; 1996-2002). He was a radical Muslim cleric, who became popular because of his fiery speeches during the time of Shah Bano agitation in the 1980s. After the decline of Janata Dal, Azmi joined the Congress. As expected, he was rewarded by the party and given Rajya Sabha seat from Madhya Pradesh (2002-2008). Source: The Religious Attitudes, Behaviour and Practices Survey 2015, CSDS-LokinitiData Unit. Should Ulema intervene in politics? The political influence of religious elite, however, is not always seen positively. A majority of Muslims do not want Ulema to offer support to political parties in elections. Interestingly, a sizeable number of respondents (35 per cent) avoid this question and do not take any clear position. This critical yet diversified Muslim response to Ulema politics needs to be placed in the post-1977 political history of Indian elections. Question asked: Do you agree or disagree with the statement-Religious leaders giving support to political parties at the time of elections? The story of election fatwas is a good example in this regard. Imam Abdullah Bukhari (and other major Ulema bodies) supported the Janata Party in 1977. However, he shifted his position as soon as Janata Party disintegrated. He campaigned for the Congress in 1980 and 1984 elections. As a prominent Babri Masjid leader, Bukhari went with Janata Dal in 1989. But this relationship was also very short-lived. When it became apparent that the Congress was going to lead the secular camp in 1991, Bukhari offered support to the Congress. Also read: Why do the poor in India vote for Right-wing parties like the BJP? Bukhari’s shifting loyalties might be read as a specific kind of Ulema politics, which has nothing to do with the political aspirations of Muslim communities. Like any other serious observer, Bukhari seemed to evaluate the mood of the Muslim voters just before every crucial election. In order to legitimise his status as the sole spokesperson of Indian Muslims, he supported the party/coalition which, in any case, was going to secure Muslim votes. Janata Party in 1977, Congress in 1980 and 1984, Janata Dal in 1989 and Congress in 1991 received overwhelming Muslim support even in those regions where Bukhari’s fatwas were highly irrelevant. The Ulema politics lost its significance in the era of coalition politics. It became very difficult for politically active Ulema to interpret the region-specific fragmentation of Muslim electoral opinion. In order to survive in this changed atmosphere, Ulema class explored all possibilities to remain politically relevant. They did not hesitate to support even the BJP! The critical yet evasive Muslim response to Ulema politics is quite instructive. Muslims seem to make a very clear distinction between religious concerns and political matters. They do recognise the importance of Ulema as intellectuals and expect them to operate in the realm of religious knowledge. But, voting in elections is seen primarily as this-worldly affair, for which guidance of Ulema is not required. The author is a scholar of political Islam and associate professor at Centre for the Study of Developing Societies. Firstly I completely agree with these key points, however Shahid imam jama masjid make a request to the Muslims community to caste their votes to secular party…he doesn’t give any fatwa as he is not milufti at all.